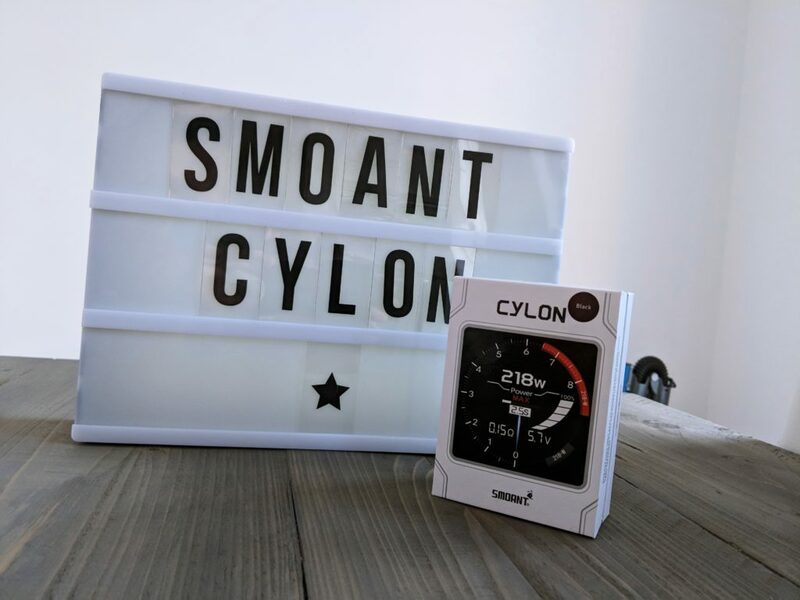 The SMOANT Cylon recently arrived at the VapeBeat offices, ahead of its official release date, and this got us kind of excited – A) because we love SMOANT products, and B) because the SMOANT Cylon looks very impressive, indeed. From the moment you unbox it, you know you’re in for a treat. Everything from the packaging to the mod’s build materials is seriously on point. The styling is premium, the shape, weight, and gait is all near-perfect. And if that wasn’t enough it also packs a beautifully detailed colored display. Is this enough to earn it a place on our Best Vape Mods Guide? I have tested a bunch of SMOANT mods this year, but I think it is fairly safe to say the SMOANT Cylon could well be the company’s crowning achievement of 2017. 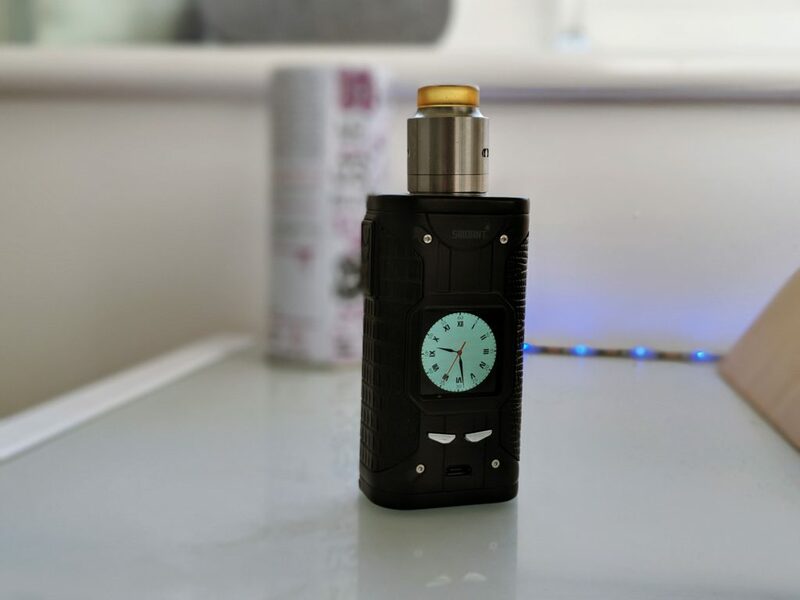 Read on for my full breakdown of this wonderfully styled mod. The SMOANT Cylon is built like a tank. It feels supremely robust in the hand, thanks to its excellent build materials and the care and attention that has gone into its design and construction. It reminds me of the SX G Class Mini; the styling, shape, and styling are very similar. And this is no bad thing – I love that mod. But the difference here is the price: the SMOANT Cylon is A LOT cheaper than the SX G Class Mini (like over $100 cheaper). 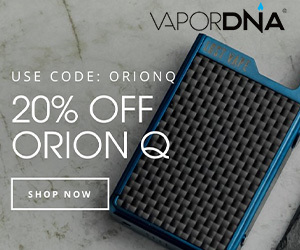 The sides of the SMOANT Cylon feature a grippy, soft-touch material that is designed to aid grip and ensure it does not slip out of your hand while you’re using it. Another bonus of this, however, is that they give the mod a very appealing aesthetic finish. The machining, across the board, is, again, spot on. I like the exposed screws, the molded accents that adorn its chassis, the location of the display, and the large fire key which is situated on the left-hand side of the mod. 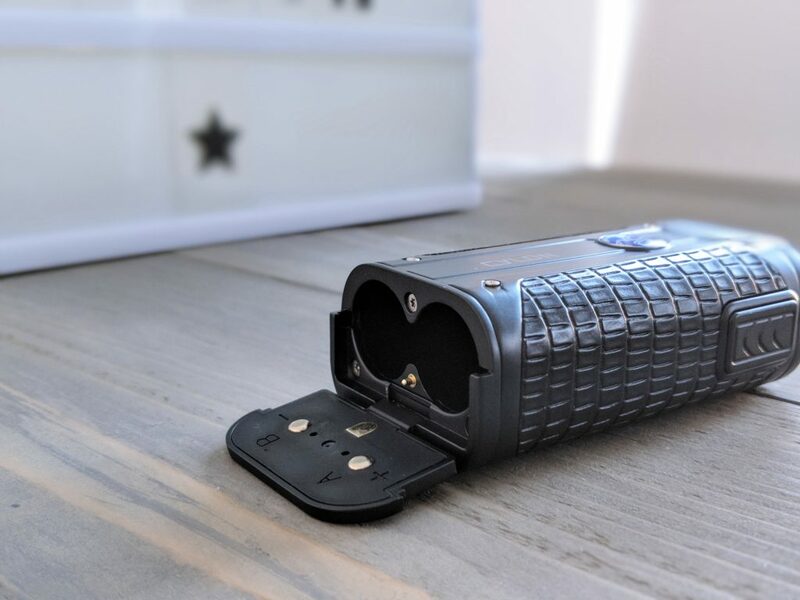 The battery door is located at the bottom of the device and is super easy to access; simply slide it back to pop it open and insert/take out your cells. The catching mechanism at play here means there is no need for magnets and this, in the long run, will ensure you get way more use from the mod, as magnets have a habit of messing up on mods after prolonged usage. 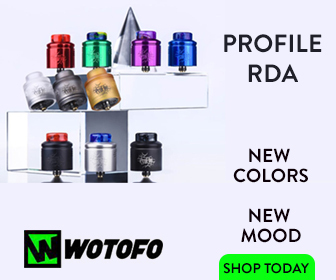 The SMOANT Cylon is pretty thick too and, because the 510 thread is located in the middle of the device’s top portion, it means you can pretty much sit any size tank, from fat RDAs to thinner sub-ohm tanks, on top of it and it’ll look great. On the back you have a little logo and the brand name of the device – Cylon – embossed below it. Overall, I am a huge fan of the way the SMOANT Cylon looks, both in the hand and when viewed from a far. It’s stylish, ergonomic, and pristinely finished with plenty of eye-catching details. It’s also available in a range of colors too; mine, however, as you can see in the images, was the black model. Given the choice, though, I’d almost certainly have gone for the brown/tan version, as it just looks a little more outlandish than the black on black model. 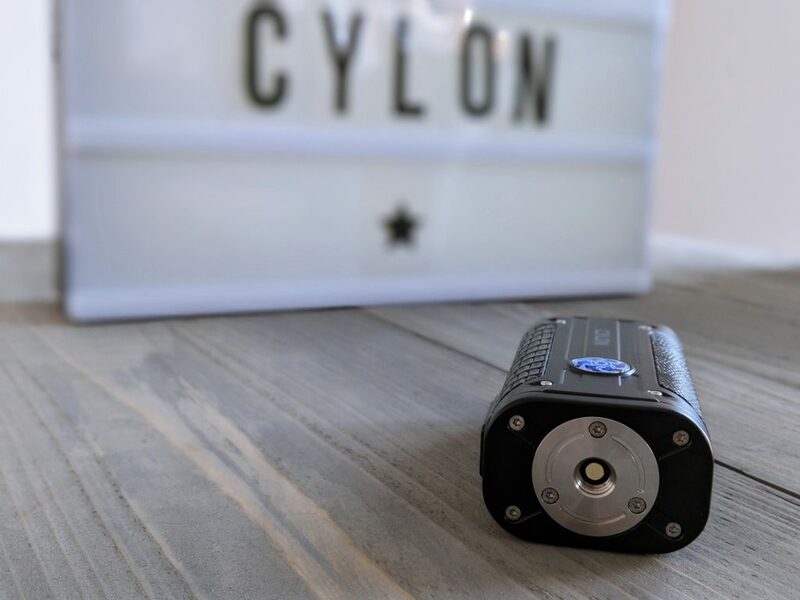 The key takeaways here are simple: the SMOANT Cylon is kitted out for power-performance. It has a wealth of features, from TC mode to the ability to create your own power curves, and this, when combined with its ease of use, means it is suitable for all kinds of vapers – pros and casual vapers alike. Personally, I don’t mess around with things too much. I use RDAs and I stay inside power mode (watts). In this respect, I am something of a purist. I know what I like and I like mods that deliver it to me in the simplest manner possible. I don’t want to spend days learning a UX menu or navigating around a million and one sub-menus. I want to install my RDA and start ripping on it as soon as possible. And the SMOANT Cylon, while a very feature-packed mod, lets you do this – it just gets out of the way and lets you get on with it. 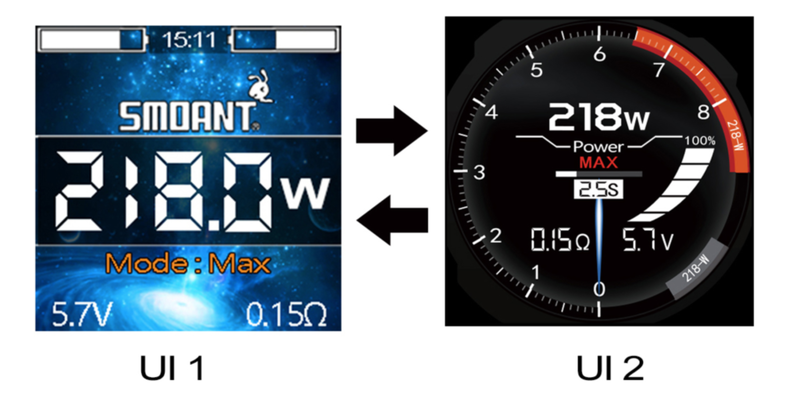 However, if you want to tinker with things or, for example, create your own TC power curve, you can, it’s just a few clicks away inside the SMOANT Cylon’s menu. 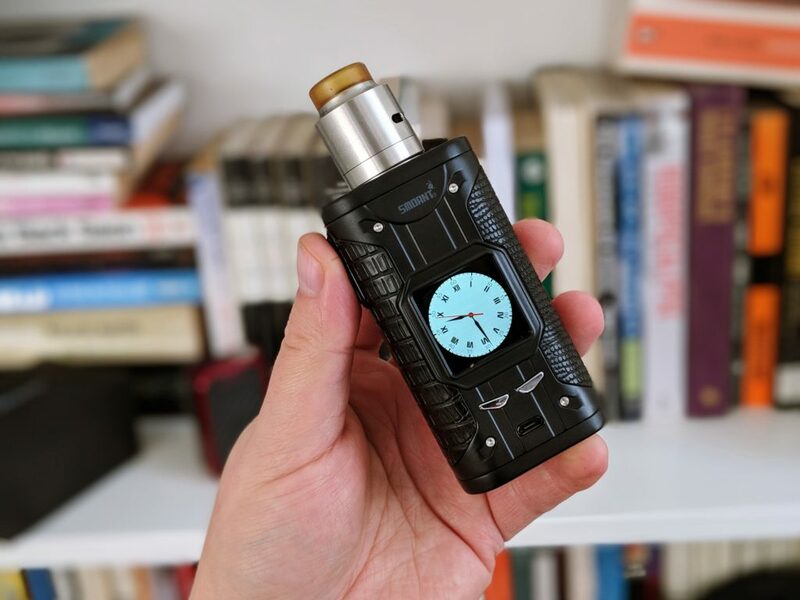 The SMOANT Cylon runs SMOANT’s new Ant28-V2 vaping chipset which brings with it super-fast firing (0.015 seconds, apparently) as well as updatable firmware, meaning we’ll likely see a bunch of new features added in the future. I couldn’t really test the timing out, as I don’t have a quantum stopwatch, but it does fire VERY fast. The only feature missing that I would have liked to have seen in fast charging. It’s not a deal-breaker by any means, but it is a nice feature to have around when you’re out and about, at work, or away from your external battery charger. Overall, the performance of the of the SMOANT Cylon and its new Ant28-V2 vaping chipset is very impressive, indeed. Like my VooPoo Drag, the Cylon never misses a beat and just accepts whatever tank you attach to it with zero fuss (quite the opposite of SMOK’s recent mods, in my experience). For this reason, and a bunch more, the SMOANT Cylon is very easy to recommend, both the experienced, heavy-hitting vapers and newbies alike. In this respect, I kind of reminds me of a modern, high-end Mercedes – it has tons of power and features on tap but is also fine in its stripped back mode. Being a master of both worlds is no mean feat, but the SMOANT Cylon pulls it off with aplomb. The is one issue with SMOANT mods, all the SMOANT mods I’ve tested this year, and that is, for some reason, they drain batteries a lot faster than my VooPoo Drag. I’m not 100% sure why this is the case, but I’d wager it is to do with the cells still draining while the mod is in idle mode. I have experienced this on all SMOANT mods in the past 18 months, so it is definitely something the company needs to fix. Doing so requires a firmware update, but as far as I am aware no such update has been pushed out yet. I did some research on this and found that I am not alone; plenty of other folks have noted this odd battery drain. I must outline that it is not severe, not by a long stretch; rather, it is very subtle, like 15-20% faster than my comparison mod which in this case was the awesome VooPoo Drag. This isn’t a deal-breaker for me, personally, but it is something I’d like to see SMOANT acknowledge and fix ASAP. Beyond the great performance and excellent design, there are a couple of other things that I need to mention before we get to the overall verdict and rating of this mod. The first is the display, which is great, fully colored, and even comes with a selection of different wallpapers, so you can fully customize the look and feel of your mod. You also a choice of two brilliant UXs (user interface) inside this mod as well, and one of them is based on the UX used inside the awesome Lexus LS Sport. Both are useful and highly detailed, but I do definitely prefer the LX Sport-inspired one, as it just looks, well… really freakin’ awesome! Another nice touch is that when you’re not using the mod, a clock appears on the display, giving you quick access to the time whenever you need it. Again, this isn’t a massive feature, but it is definitely a nice touch. I’d love to be able to add my own wallpapers, as well, so here’s hoping that ability is added inside future firmware updates. As of right now, you have nine potential options to choose from, however, if you run the UX in LS Sport mode, you won’t see these. And I reckon most users will prefer the LS Sport UX. I certainly do. 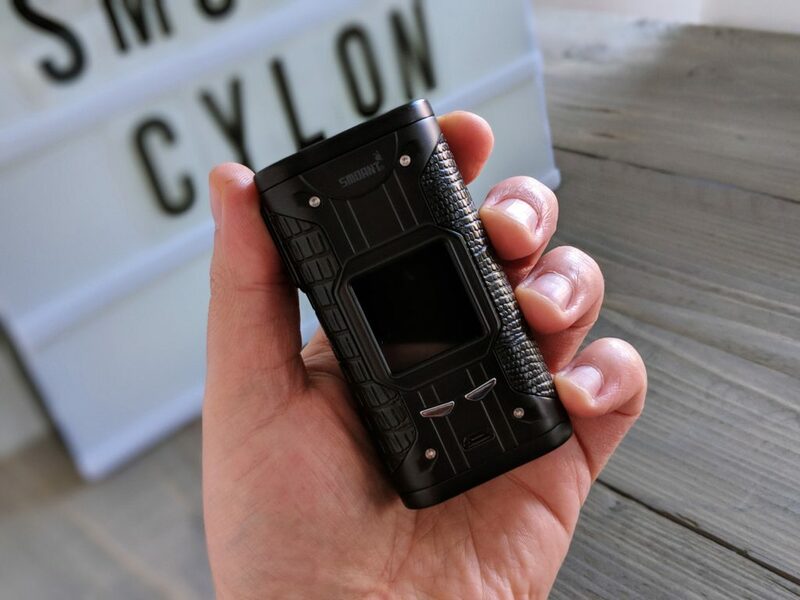 The SMOANT Cylon is a fantastic-looking mod that packs in a TON of performance alongside an array of useful features and settings. The design, for me, is the main event here; it’s robust, stylish, and it feels great in the hand. But as good as the design is, it’s only the tip of the iceberg. And while I do tend to prefer my VooPoo Mod, this thing is still very good. Dig a little deeper and what you’ll discover is an immensely potent mod packed with tons of useful features that really do make vaping a joy. I had a blast testing this mod and I will 100% be keeping it as my daily driver from here on out. 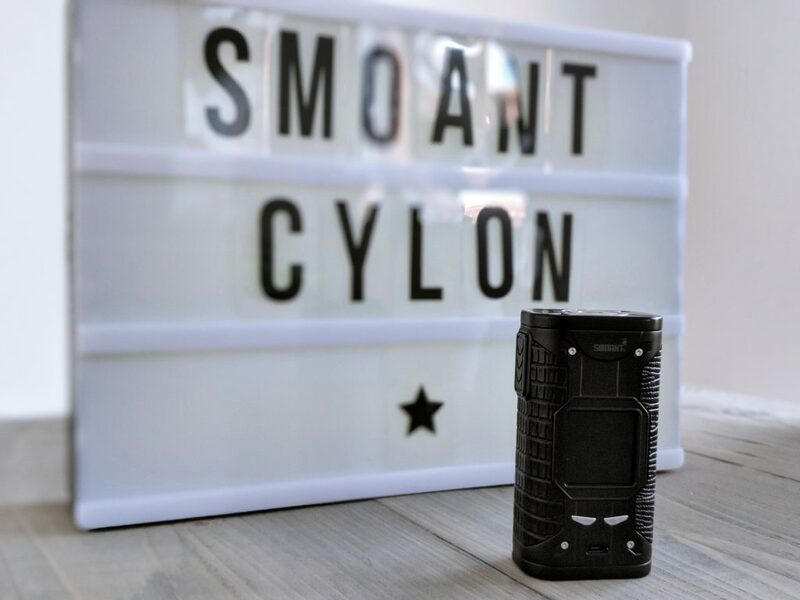 If you’re looking for something with style, performance, and killer features, and a great vaping chipset, that won’t break the bank, you NEED to check out the SMOANT Cylon. It is fantastic in every sense of the word.